This is the fourth in a series of four articles that explain how to attract and manage marketing professional volunteers. Every industry is different. Marketing in every industry is different. Your new volunteer consultant will need to learn what marketing issues are specific to the non-profit industry. Any time a marketer gets a job in a new industry, they are oriented by their new boss and marketing peers. But your new volunteer consultant will have to learn on their own. This orientation package contains the same information that a new employee would obtain from their marketing peers. It contains the statistics they need, and the soft stuff — the things that everyone does but no one talks about. This package is written by a marketer for a marketer. Each industry has its own unique characteristics. The goal of this package is to summarize the marketing issues common within the non-profit industry. This page does not teach basic marketing because we assume you have marketing expertise from other industries or from business courses. This link compares for-profit vs non-profit marketing. Read the case studies to help you customize the generic advice and templates to the needs of your non-profit. There are 3 marketing Best Practices that eventually all non profits should follow. This package focuses on how to develop a relationship with a client (see below). Tracking the paperwork is embedded in the site: make sure you are given a initial contract; the project close form will quantify results you can put on your resume. Other aspects of being a consultant are not discussed in this website, e.g. how to attract new business. See suggested reading below. There are two bottom lines. The financial bottom line and the social bottom line. There are two triggers that non-profit employees respond to. Some employees are persuaded by suggestions that will improve the financial efficiency of the non profit. Some employees will be motivated by the impact on the cause, ie the social bottom line. Before making suggestions, be prepared to stress the benefits to the bottom line the listener is attracted to. The sector is very diffuse. The largest 5% of non-profits control 85% of revenue/donations generated in Canada. The top 300 non-profits in Canada, which are large enough to employ a marketing department, are very similar to for-profit corporations in terms of culture, projects, use of marketing language and the use of formal, strategic marketing plans. The difference between for-profit and non-profit is minor. The difference between large non-profits and small non-profits is major. Most non-profits are small, service-oriented organizations that need tactical advice. It is always worthwhile to review the template of a marketing plan to ensure you think about all important issues. However, in small non-profits, it may not be worthwhile to proceed into writing out a formal marketing plan, unless you have an audience of marketers who are willing to give you feedback. In informal environments, your audience may be more receptive to the 3 best practices. If your non-profit needs help marketing to the recipients of a service (e.g. an arts organization selling tickets, callers to a hotline), you may be inspired by Kotler’s book “Strategic Marketing for Non-profits” which focuses on selling a service. If your non-profit needs help furthering a cause (e.g. obesity, environment), consider Kotler’s book on “Social Marketing”. If your non-profit needs help on marketing to donors, check Kotler’s book on “Marketing Professional Services” which focuses on developing a for-profit relationship but covers topics such as acquisition vs retention, analyzing profitability and the seven P’s. Keep in mind how the cause for your selected non-profit fits within the Canadian non-profit sector. For example, Social Services are attractive to 39% of Canadian donors, yet receive only 9% of the dollar amount. This points to an opportunity for obtaining more donations from the existing donors Social Service non-profits already have. 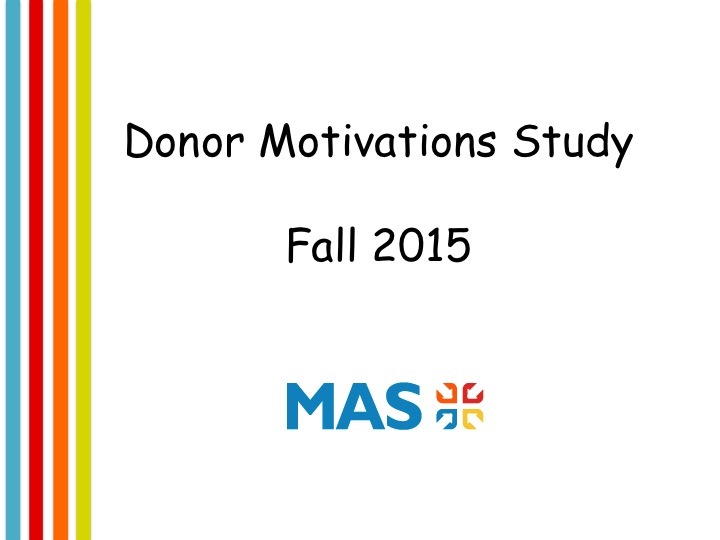 Consider spending more time and effort retaining donors, before acquiring new donors. See Acquisition vs Retention. Expect non-profits to desire buy-in from a wide range of employees. The Board of Directors may be involved in operations. This slows down the speed of decision making. Make sure you report to one employee and not a committee. It will be your contact’s job to obtain consensus internally. Other non-profits within the same cause will be considered partners with differing mandates or territories, despite the fact that they are all approaching the same donors. Here is an analogy: internal departments within a corporation with the same goals competing with each other for a finite budget, and not external competitors. Obstacles that you encounter in the for profit sector (eg age, gender, disability) tend to be less of an issue. The non-profit sector is very accepting of diversity. A “professional volunteer” is who you are. A “volunteer consultant” is what you do. Two sides of the same coin. Professional volunteers may be hard for non profits to manage. Professional volunteers are a relatively new concept and are managed by senior staff who are juggling other responsibilities. Typically, non-profits obtain volunteers for events and operations who are managed by a mid-level employee called a Volunteer Administrator. Volunteers who are board members are managed by the ED and Chairman. You need to create trust. Be honest about your intentions and what you want out of the relationship, ie more than just “giving back”. There must be an exchange for your service. Do you need intellectual stimulation or camaraderie? Do you need to expand your resume? Are you connected to the cause because of personal or family reasons? See this link for a list of potential motivators. Price is a signal. People expect to get what they pay for. So as a volunteer, how do you replace price? Quantify your contribution in hours. See the project close form. You cannot receive a tax receipt for the equivalent value of your donated time. Dress in Friday casual clothes. Expect to learn, from the non profit sector, how to motivate employees without using salary or benefits as a motivator. Expect to feel good. Helping others can give you a sense of vitality and improve your mood. The book Healthy Pleasures compares a “helper’s high” to a “runner’s high”. Marketing concepts in the for-profit and non-profit industries are similar. The language used to discuss those concepts is different. Different languages in different industries is common. But in the non-profit industry, business terminology can trigger unexpected emotion. If you encounter an emotional reaction to a comment you make, check whether the reaction is to the concept or whether you inadvertently used business terminology. Or a more common reaction is the listener will quietly tune you out, avoid you and you will never understand what happened. Switching between for-profit and non-profit languages may well be the hardest part of your assignment and confounds marketers who have been working in the non-profit industry for years. segregated funds – funds donated for a specific purpose. non-profit vs charity – There are 161,000 non-profits in Canada; about 50% are charities. Both a non-profit and charity reinvest any profit back into operations and do not distribute to shareholders (like a for-profit business). About half of the non-profits in Canada have obtained a designation from the CRA for charitable status which allows them to give tax receipts because they need to solicit donations to fund their work. The remaining half of non-profits, who do not need to solicit donations, are typically member-based organizations. social purpose enterprise – it is a department within a nonprofit. The purpose is to make profits to fund part or all of the ongoing operations of the non-profit. For example, making a profit on widgets, to fund advocacy activities which do not generate donations. The definition of social purpose enterprises is evolving, so expect confusion. in-kind donations vs money donations– donors receive a tax receipt for both. An in-kind donation refers to the products the company sells e.g. excess inventory that is donated. corporate sponsorship vs corporate donations – many corporations have two budgets. One budget donates funds or in-kind products and receives a tax receipt; charities are selected based on employee interests. Another budget sponsors events or locations which are in line with the corporate brand and do not provide a tax receipt; charities are selected based on the promotional image of the corporation. Case for Support – a multi-page proposal to request funds from a major donor (foundations, corporations). Topics should be customized for each donor and include: achievements, stories, other donors, specific request, budget, evaluation plan, etc. Acquiring new donors vs retaining existing donors – See link for a definition of acquisition vs retention. If your non-profit asks for your help to obtain “more donations”, don’t assume that means more new donors. It may mean retaining donors. See the Donor Churn report. “The Trusted Advisor” by David Maister, Charles Green, Robert Galford, available from libraries. Getting Naked: a business fable about shedding the three fears that sabotage client loyalty” by Patrick Lencioni, available from libraries. “The Nonprofit Marketing Guide” by Kivi Leroux Miller, available from libraries. “Money for Good” by Hope Consulting, qualitative and quantitative survey of US donors in 2010. “Social Media for Social Good” by Heather Mansfield, available from libraries. “Non profit Management 101” by Darian Rodriquez Heyman, available from libraries.